Upon his arrival in Ha Noi on March 24 for an official visit to Viet Nam, Thai Prime Minister Samak Sundaravej held talks with Vietnamese Prime Minister Nguyen Tan Dung. PM Dung affirmed the Government’s policy for friendly and cooperative relations with Thailand, which he said had fared well in the recent past. Discussing a number of orientations for cooperation in politics, security, trade and investment, they agreed to push for consultation at the foreign ministerial level and for the formula of the joint strategy of economic partnership (JSEP). The two sides also agreed to double bilateral trade revenues to US$10 billion by 2010 and encourage Thailand’s leading enterprises to open businesses and invest in Viet Nam . PM Samak pledged not to let any individuals or organizations use the Thai territory for their hostile schemes against Viet Nam . He also promised to create favourable conditions for overseas Vietnamese to live and work in Thailand . Also discussed was the Mekong Economic Cooperation Strategy (AMECS), a cooperation framework between Viet Nam, Thailand, Laos, Cambodia and Myanmar, the Great Mekong Sub-region programme (GMS), and other regional and international issues of mutual concern. The Thai government leader asked for Viet Nam’s support in the country’s bid for a non-permanent seat in the UN Security Council in the coming term. Leaving the conference hall, the two Government leaders witnessed the signing of a bilateral agreement on the fight against human trafficking and assistance to victims. In the afternoon, the Thai Government leader met with the General Secretary of the Communist Party of Viet Nam, Nong Duc Manh. Samak reiterated Thailand’s policy to strengthen relations in all fields with Viet Nam and encourage its enterprises to invest in the latter. The Party leader emphasised the nation’s open external policy towards multi-lateralisation and diversification. “Viet Nam highly respects friendship and multi-faceted cooperation with members of the Association of Southeast Asian Nations (ASEAN), including Thailand,” General Secretary Manh said. He also confirmed Viet Nam had a policy to boost relations with Thailand . The Party leader’s view was echoed by State President Nguyen Minh Triet who met the Thai Government leader later in the day. President Triet highly valued Thailand ’s role and contributions to cooperation programs within the framework of the GMS and ACMECS. 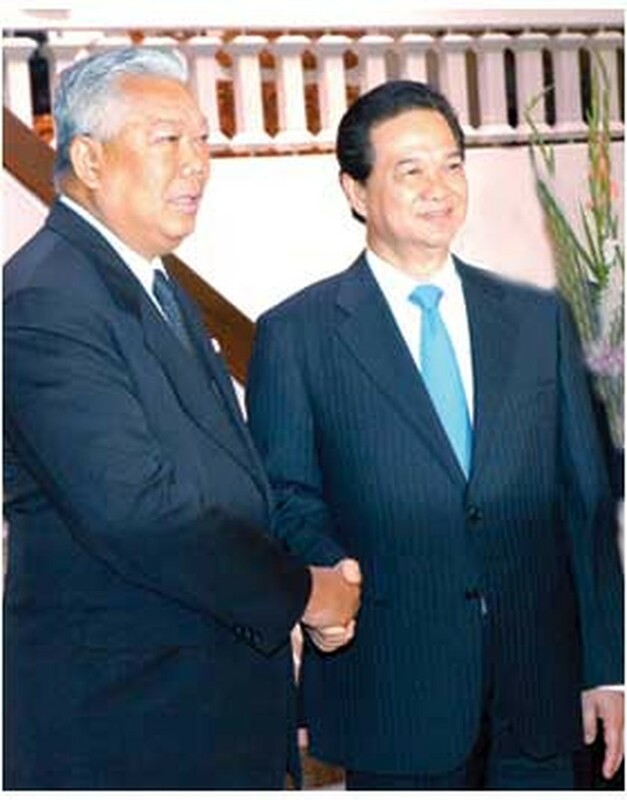 He said he believed in strong cooperation between Vietnam and Thailand for further developing the Southeast Asian region. In reply, the Thai Prime Minister appreciated the investment climate in Viet Nam, especially since the time the country joined the World Trade Organisation. He said Thai investors are increasingly interested in investment opportunities in Viet Nam, considering the market as a springboard for their products to export to other countries in the region.